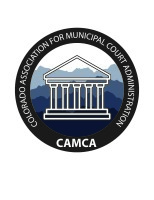 Following the passage of HB 16-1309, which requires additional defense counsel resources in municipal courts, CML worked to delay the effective date of the mandate and collaborated with the governor’s office to request funding in the FY 2018/19 state budget. In the governor’s proposed budget, $2 million from the state general fund is designated to fund the mandate. Implementing legislation will be required, and staff is working with the governor’s office, legislators, the Department of Local Affairs (DOLA), and CML members to design the program. CML opposed legislation (HB 17-1313) in the 2017 session that arbitrarily restricted funds local law enforcement may receive through civil asset forfeiture. CML staff has worked in good faith as a member of the governor’s HB 17-1313 Task Force to create a smooth process for implementation at the local level. A significant issue is the prohibition on local law enforcement receiving forfeiture funds from the federal government in certain cases. As passed, the legislation did not have a remedy to help law enforcement cover the use of taxpayer resources put into an investigation but not receive anything in return to make them whole. CML appreciates that the governor’s office heard that concern and has set aside $1.5 million from the marijuana tax cash fund. The Task Force will determine the best way to get those funds directly to law enforcement.